Talks with Chiharu for a while about it and how she is sad about it. Some breaking the 4th wall stuff about long serializations being hard. Also, we see Ashibashi sensei being used to illustrate this. Nagi goes on a monolgue about long serializations and the climax of the story and about how the ideal is Urusei Yatsura with the climax also being the ending. Chiharu: With that said... have you drawn any manga lately? Nagi: Ah yes... yes, I should draw, shouldn't I? Nagi: But ya see, I dun have any interesting ideas lately. We just came back from America yesterday after all. Chiharu reminds her that she's still got that competition with Ruka after ten years. Nagi: Yosh! I shall now devote myself to Ika-chan. Chiharu: That's devotion to selfishness, isn't it? Nagi: Right, I'm gonna win an award before my birthday. Hayate: Well, your enthusiasm is admirable, but what kind of manga? Nagi: Love comedy~! I'm gonna use what happened during the school excursion. 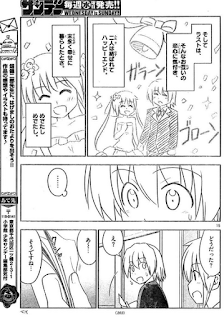 Hayate: Eh, so it's gonna be like a travel manga? Hayate: Wait... this is too high level for me. Hamster: Suggests something about Vodafone and the heroine's power. Nagi: Ah, I get it. Hayate: so... the story aside, this is based on real life experiences right? Hayate: And you're going to ignore all the difficulties of the journey? Hayate: As expected, it's something strange again this time. Nagi: Hmm... but this configuration isn't based on real life isn't it? Hayate: Ah, as expected, Ojou-sama... has really grown up a little bit. I'm going to kill someone if he betrays her feelings -- for good. A temporary betrayal of feelings is well justifiable. Hayate: Have you finished the manga's name? The butler was born with a strong body and was very courageous. Meanwhile, the oujou-sama was a self-indulgent millionaire. The two shared many life and death experiences together and naturally, a bond was formed between them. However, the final stage would be their biggest problem yet. And the final stage would be where they fall in love with each other for their happy ending. They would live together for many years to come. Nagi: Well, what do you think? Hayate: Well... it's certainly an interesting story, isn't it? Nagi: As expected, using my real feelings to tell the story wasn't wrong. Nagi: All right... time to draw the manuscript. Hayate: ... love each other? Review: Wow... this was a really heavy chapter. 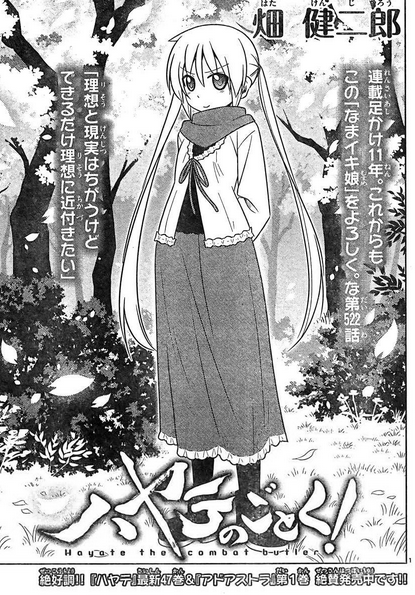 It started out innocently enough and I really thought this would be another fruitless gag chapter, and then all of a sudden, Nagi has just inadvertently confessed to Hayate through her manga. This is it, guys! The end is not just near! The end is HERE! Prepare for t-t-teh DRAMA! 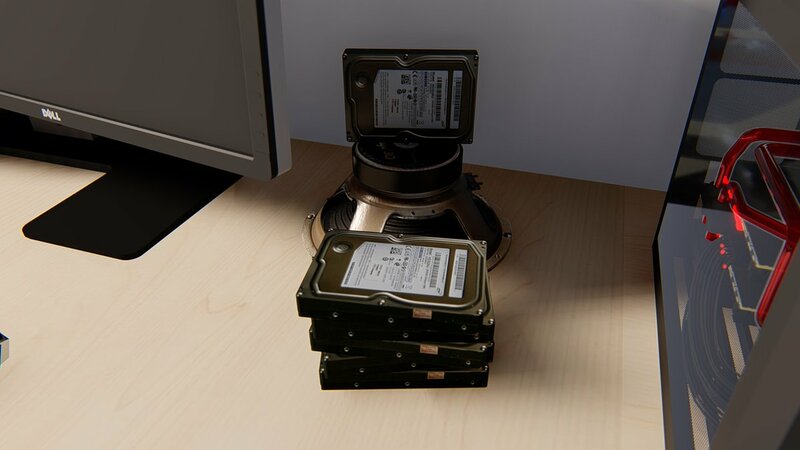 Now there are lots of implications here, but I don't think they're especially bad. The way I see it, this is clearly a setup for the "bomb between them" to finally go off somehow. At some point, Hayate has to make a decision now that Nagi's feelings have been made clear to him. Of course, the way Nagi's feelings have been suddenly thrust out at Hayate, he really cannot be expected to accept them at this point -- and this is why I believe that the "bomb between them" will go off soon. 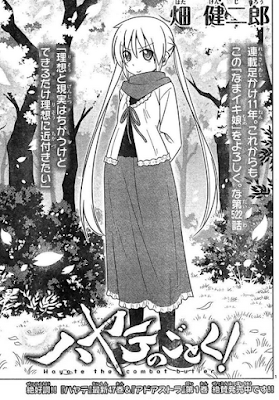 If Hayate is going to develop feelings for Nagi, then he needs at least a chapter or two to actively think about her -- where she really stands in his life and he has to make his own decision. There is no Nagi to bail him out this time, like she's always been doing whenever he needs to make a crucial decision. Naturally, things will never go the way Nagi spelled out so plainly in her manga because that would be terrible writing -- but the question is: How will her heart be broken? How will Hayate respond to her feelings right now? We know for sure that he has never considered her to be a romantic prospect before, well now he has no choice. He can't be evasive with this girl and he knows it. Don't forget that we've still got the Holy Grail War Royal Garden wars to worry about, so if the bomb is going to go off, it has to be very soon. Anyway, amazing chapter and I eagerly look forward to what comes next -- although I also have butterflies in my stomach knowing that Nagi is going to get hurt again pretty soon... still, we need to get this misunderstanding out of the way -- FINALLY! The ball is in Hayate's court now... let's see what he does with it. Anyway, there are lots of little things in this chapter too, such as the nod to the whole 10 year promise with Ruka and Hayate acknowledging Nagi's growth as an individual but... they all pale in comparison to the actual gist of this chapter. Babeh~ you are absolutely gorgeous~! i never expected hayate to find out about nagi's feelings like this but it was great. hayate now knows in black and white there is no confusion. i am doubtful hayate will say that she is mistaken in her face but will find it difficult to play innocent. 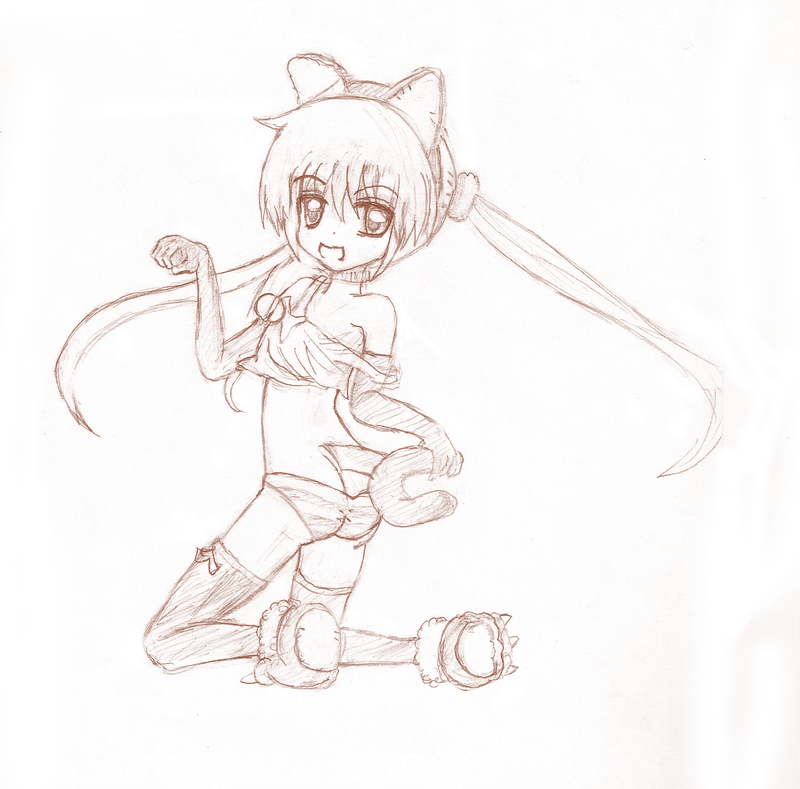 the cat girl nagi sketch looks as good as the real figurine. I agree. This was definitely unexpected, but it was also a good way to take out the final safety net safeguarding their fragile relationship. Hata has surgically removed them one by one. 1. The debt has been cleared. 2. Hayate believes that Nagi might no longer need him. 3. Hayate now knows Nagi's true feelings... or at least this was a big fat clue that even he can't dismiss. I know that some shippers will jump on this chapter as soon as they read it and think that this is the golden ticket to kick Nagi out of the harem race. Nagi becomes a world-renowned mangaka while Hayate goes off to be lovey dovey with girl X = happy ending for both parties, but that just doesn't work for me. The thing is, Nagi's feelings for Hayate are too strong, too real, for things to be resolved cleanly that way. Also, Hayate has never even given Nagi a fair chance. He hasn't done enough for her -- so to speak, so to dismiss her just like that without even having ever considered her as a romantic prospect -- someone he can fall in love with, would be a great big injustice to Nagi and to the whole setup of this manga in general. I would be bitterly disappointed if Hata does choose to go this route, but fortunately, I really don't think that's the case. 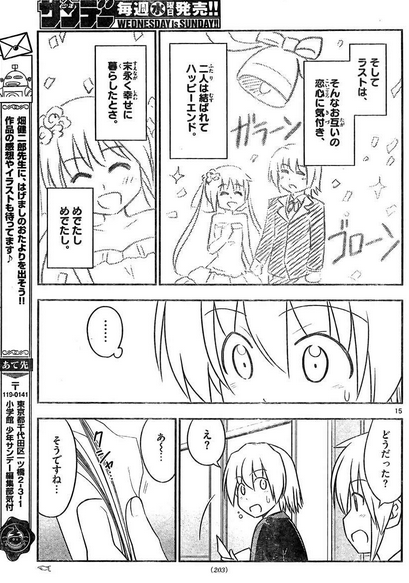 Also yeah, Hayate will never reject her directly, but he's probably going to consult a few people about it. Maria and Hinagiku definitely come to mind. good points. 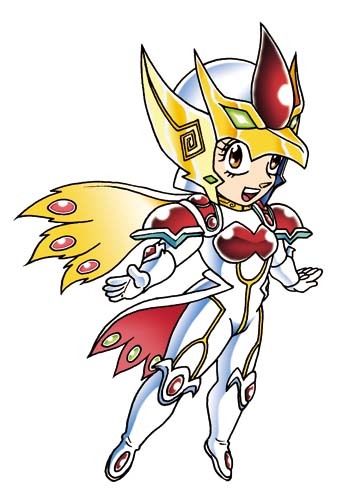 there is also ayumu who might help. she is great at socializing and is also at the cafe. True about the hamster... although Hayate has never really seen her as someone he can confide in, I think. Maybe even Sakuya would be a better adviser.